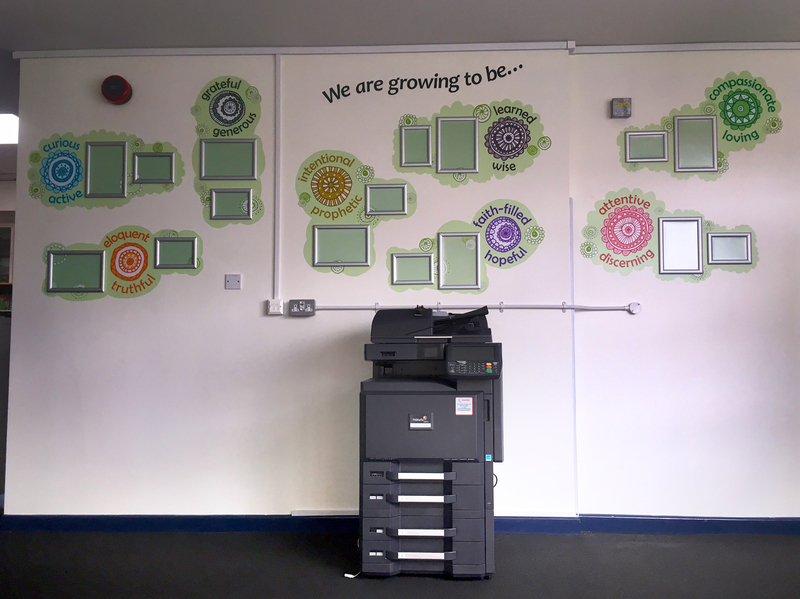 The brief: To transform a blank wall into an interactive prayer display. 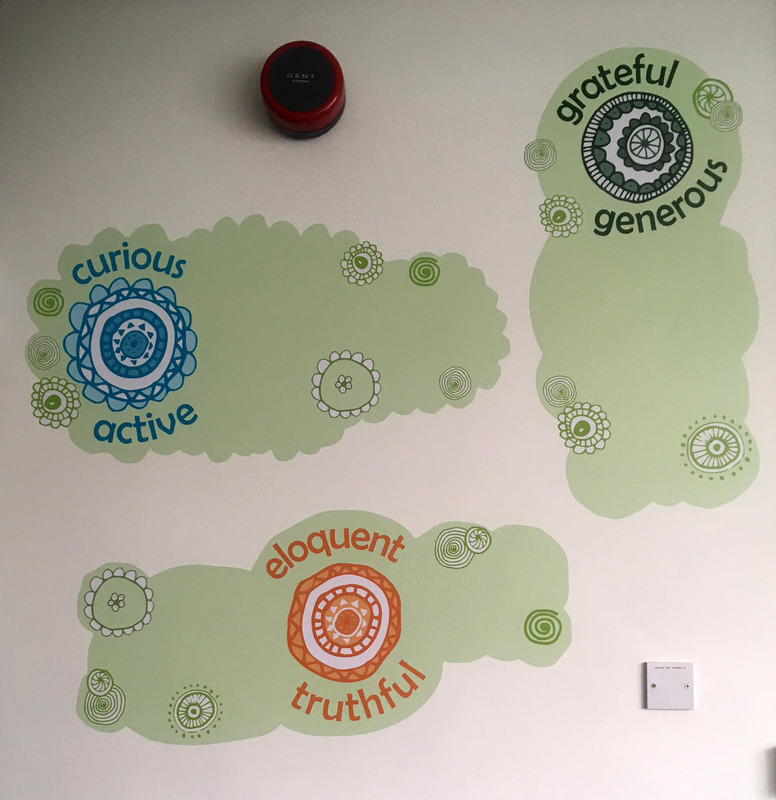 To make a corridor feature of the 8 paired virtues from the Jesuit Pupil Profile. 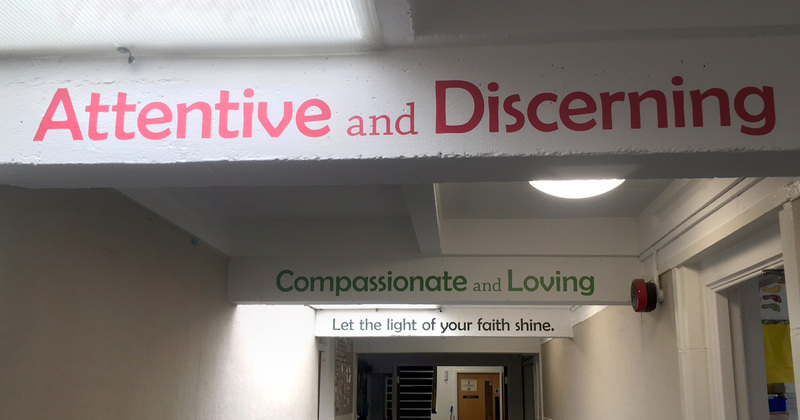 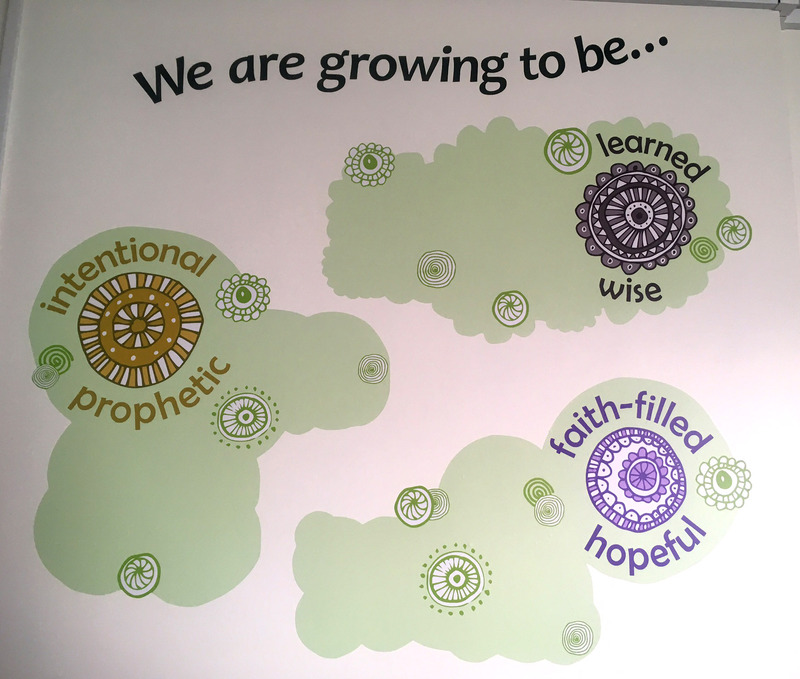 The process: Two Thirds Design were invited to English Martyrs Catholic School to produce concepts through to finished designs for an interactive Prayer Display and to display the Virtue Statements. 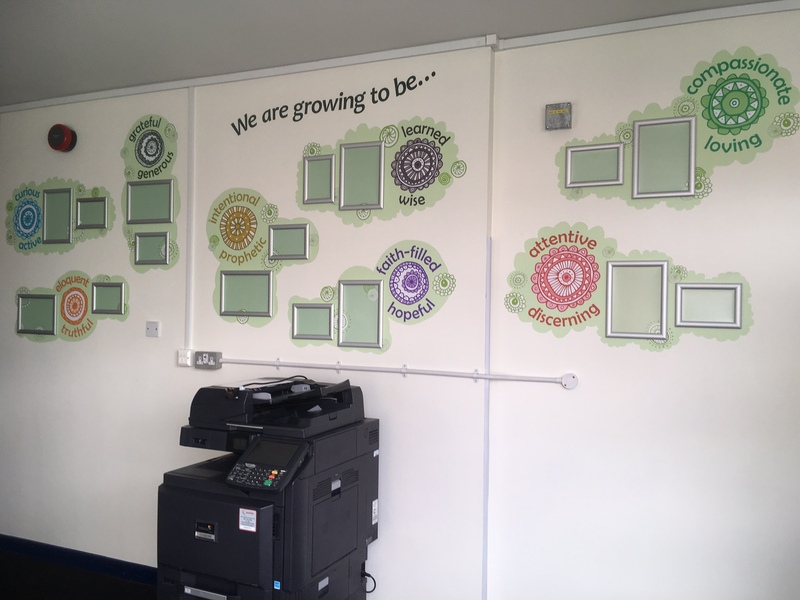 The end result: A cost-effective use of adhesive vinyl, along with A4 and A5 clip frames made an easily up-dateable display for pupils’ prayers. 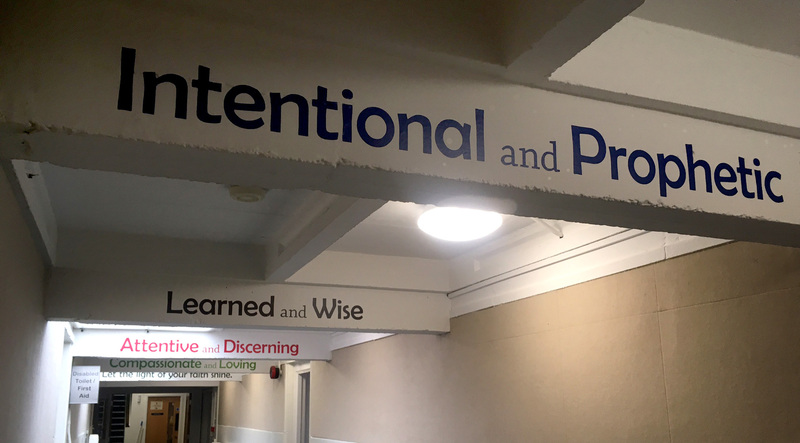 The corridor word pairings remind children of the virtues as they go about their school day.